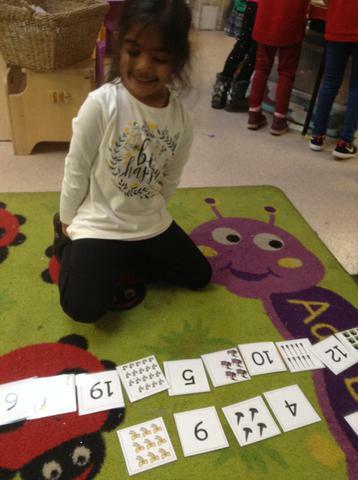 This week we have been focusing on matching numeral to quantity. 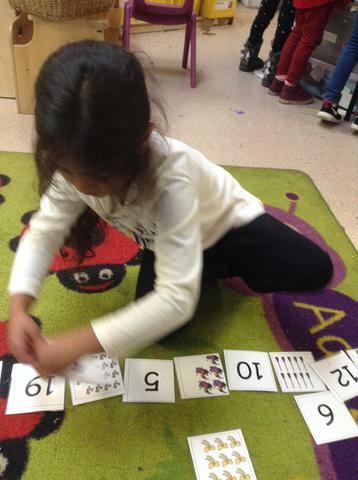 We counted the characters from Room on The Broom and found the corresponding number. In the workshop we used sticks and different materials to make wands. 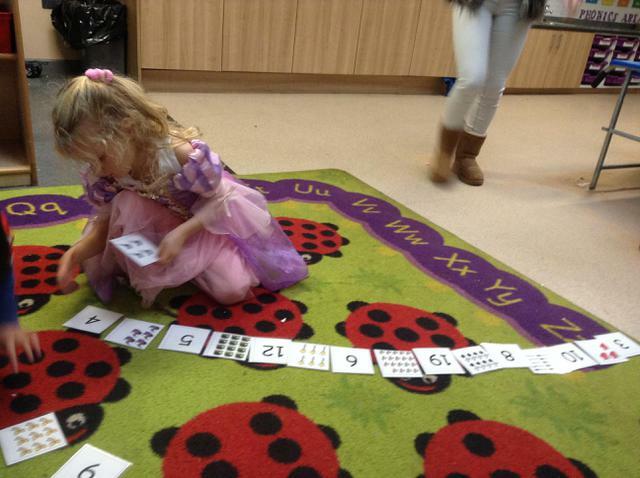 We used these in our maths session to make comparisons exploring the language of longer and shorter. 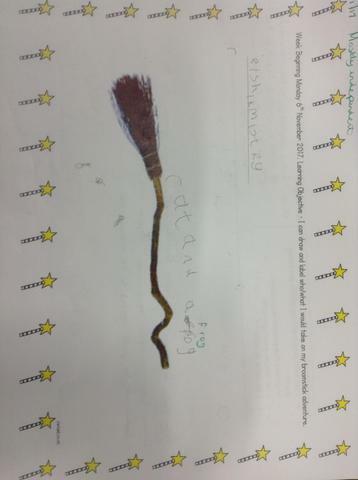 On Monday Morning we found a broken broomstick in our classroom. 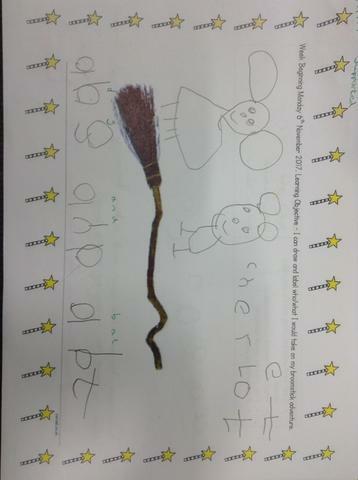 We watched some CCTV footage from Mr Terry and saw a witch running into the woods. 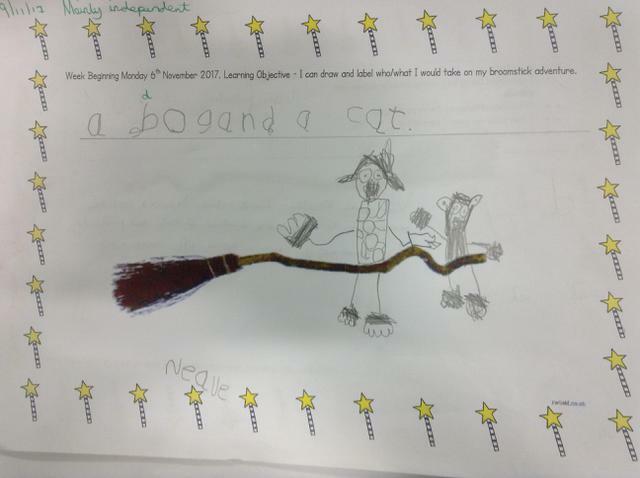 We read the letter asking us to write some potions to help the witch to fix her broom! 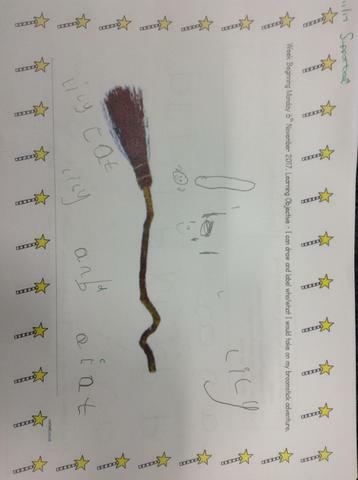 We thought about who we would like to take on our broomstick adventure and did some excellent writing. 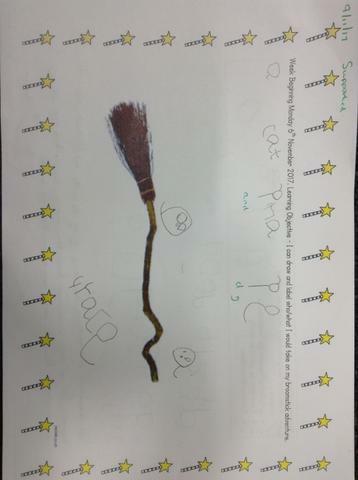 On Wednesday we read the book "Room on the Broom". 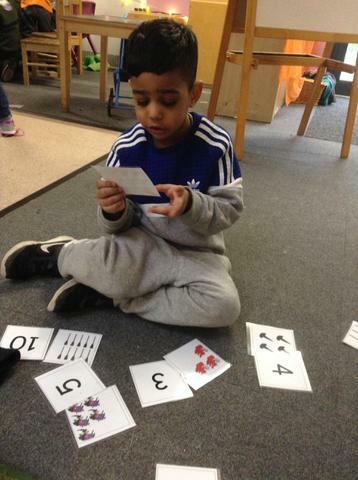 We focused on identifying the rhyming words. On Tuesday we found a Potions Lab in our classroom! We spoke about who it could belong to and why it was there. 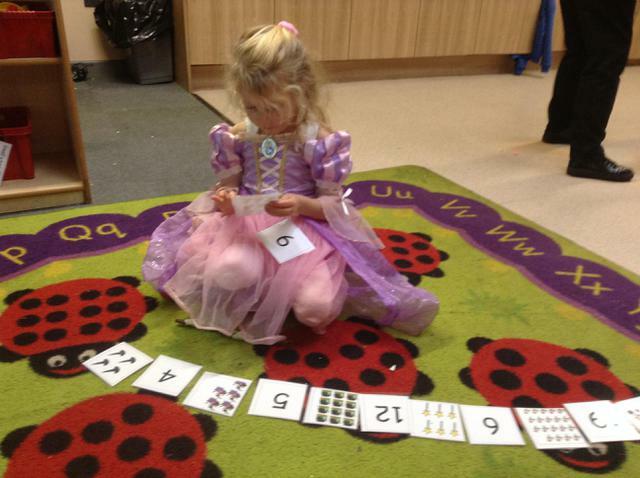 The children have enjoyed experimenting and making different potions.